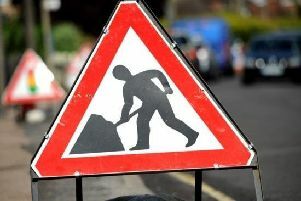 A public meeting to discuss traffic on the A15 junction in Morton. Lincolnshire County Council wants to install four-way traffic lights at Morton crossroads on the A15 near Bourne and has asked people for their views. The proposal was raised by executive councillor for highways Richard Davies (Con) at a public meeting in the village. About 80 people from Morton and surrounding villages turned up to hear the county council’s ideas for the crossing, which has been a point of concern for many years. Coun Davies said the council’s budget was not infinite, and told the meeting that Morton’s recent accident history meant the junction was not a top priority. But he said the council was keen to improve safety, and a four-way traffic light system with pelican crossings was the best option. Coun Davies said the crossing would cost in the region of £170,000. About £20,000 is available from a Section 106 agreement on the recent Larkfleet housing development, and more would come once two sites next to the crossing were developed. The old King’s Head pub has already been knocked down on the High Street side of the crossing, and plans to knock down the Lord Nelson and build a food store on the Hanthorpe Road side have been submitted. But the rest of the money would need to be found from elsewhere. Plenty of people had questions for the meeting panel, which included Coun Davies, council leader Martin Hill (Con), county councillor for the ward Sue Woolley (Con), district councillor for the ward Frances Cartwright (Con), Morton and Hanthorpe Parish Council chairman Richard Wells and county area highways manager Kevin Brumfield. One person suggested a show of hands over traffic lights, which found everyone in favour. Several ways to raise extra funding were suggested by people at the meeting. One woman said she had access to possible grant funding and was asked to speak to the parish clerk. There was also discussion about raising the parish precept, which would likely have to go to a referendum. Coun Davies asked Coun Wells to take the issue to the parish council and gauge the wider community’s thoughts. He said that once the money was raised a crossing could be installed in six months, but preliminary work could be done beforehand.